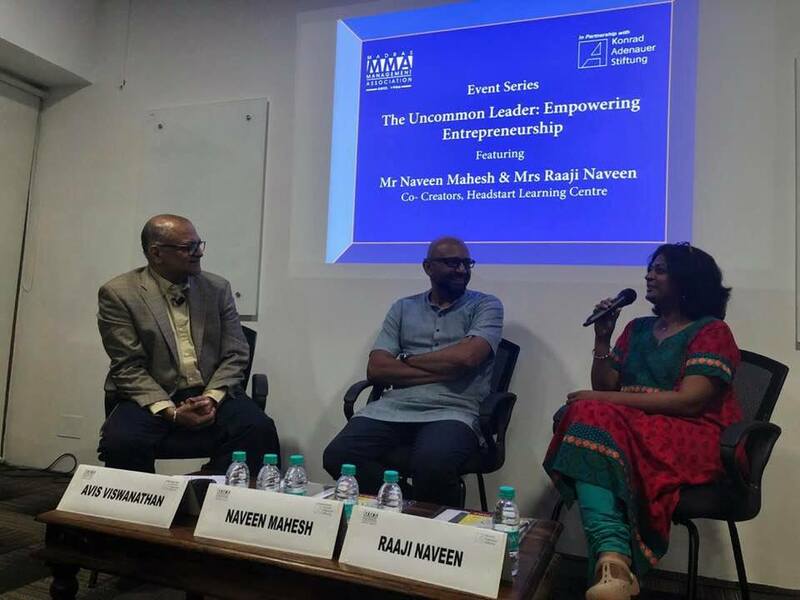 Vaani Anand and AVIS launched a by-invitation-only Event Series, hosted by the Madras Management Association called "The Uncommon Leader". The Series, curated by the couple, looks at the Extraordinary Leadership Lessons we can learn from Exceptional People - from folks like you and me. 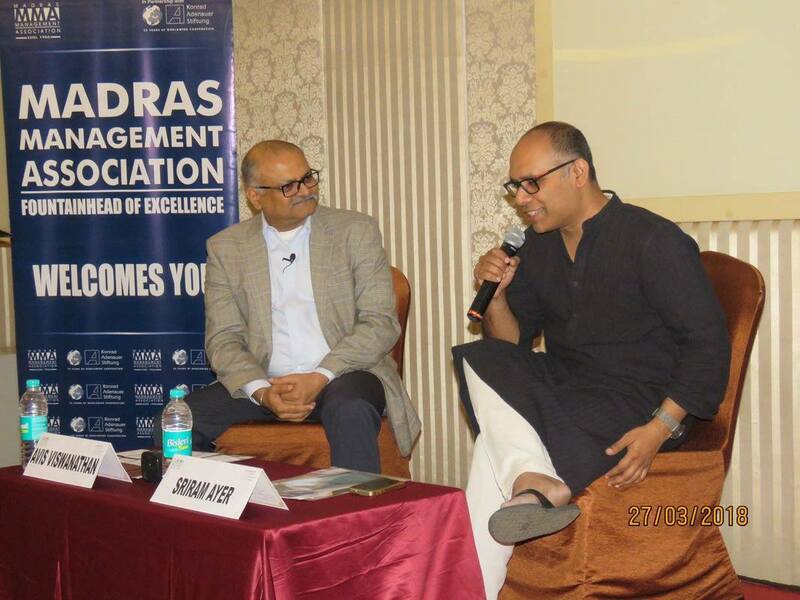 It is held once a month and is hosted by the Madras Management Association. In the 22nd Edition of the Series, we feature Thirupurasundari Sevvel, Architect and Founder - 'Nam Veedu Nam Ooru Nam Kadhai' Thirupurasundari Sevvel, Sundari or TS to people who know her, studied Architecture in India and the UK and Urban Planning in France. She leads her boutique Architecture and Urban Planning consultancy, Studio Conclave. In 2013, she founded her not-for-profit initiative, 'Nam Veedu Nam Ooru Nam Kadhai' to 'nurture and preserve the heritage and stories of our neighborhoods'. While working on projects through this initiative, she was deeply concerned about several instances of injustice and lack of collaborative problem-solving among organizations that were engaged in the social development space. So, she has been offering her time and leadership to actively solve, in real-time, several problems that NGOs, social entrepreneurs and charitable institutions have been faced with. She did not see a point in simply running 'yet another NGO'. She believes her Life's Purpose is 'to hold hands with, and when required be the voice of, those who are not believed and who don't get any support for what they are doing'. TS' model is simple: define what the problem is, mobilize the resources (whether it is financial, people-related or communication-driven) and provide the leadership to execute a time-bound solution. AVIS draws learnings from TS' unique experiences in this Conversation. Her efforts over the past decade showcase leadership, creative thinking, problem-solving, collaborative outreach and people management - key entrepreneurial traits. You are sure to take away important and relevant perspectives, whether you are a business leader, a manager, a management student or an entrepreneur. In the 21st Edition of the Series, we feature Ninan Thariyan - CEO, DT Next In April 2015, Ninan retired as the regional head for Times of India in Chennai - after 33 eventful years in the media industry. 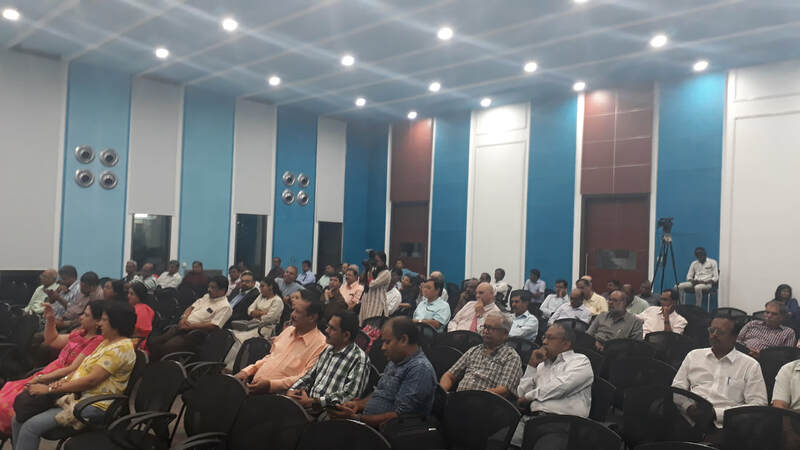 Almost everyone who knew him as the high-performing thought leader in the business believed that Ninan would move to Kochi as part of his post-retirement plan. But a chance meeting that Ninan had with Bala Aditan, who owns the Daily Thanthi Group, resulted in the birth of a daring, game-changing idea: the launch of DT Next, an English morning daily in Chennai! Ninan joined the Daily Thanthi Group as CEO for the new venture in June 2015 and the new daily was launched within 5 months, in November 2015! 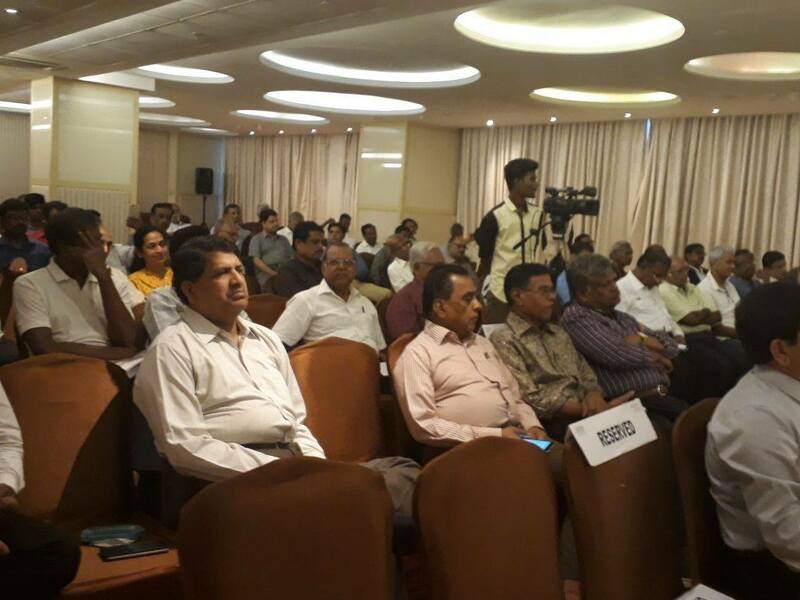 This move shocked the industry and observers wondered - does Chennai have a market for a fourth English morning daily, is the Daily Thanthi Group capable of delivering a quality product in this space and will Ninan's leadership still pack a punch when he is, well, past his retirement age? But in just 3 years since its launch, DT Next has emerged as the third largest English daily in Chennai - and surely counts as being a very qualitative one! What is the Vision that led to this courageous leap, how has a great team fallen in place, what disruptive ideas has DT Next adopted, how is the content mix so qualitative, and what does this success story tell us about the print vs digital debate? AVIS, the happynesswala, hopes to ask these and other questions and glean unputdownable learnings from the DT Next story in this Conversation with Ninan. Please join us. Whether you are a business leader, a manager, a management student or an entrepreneur, you are sure to take away important and relevant perspectives. In the 20th Edition of the Series, we feature Harry MacLure - Editor - 'Anglos In The Wind', Film-maker & Designer. When Iraq invaded Kuwait in 1990, Harry was a young bartender at the Hyatt Regency in Kuwait City. Harry lost everything in fleeing that crisis-situation; for three weeks he barely got a meal a day in the refugee camp in Jordan. Miraculously he found himself back on a flight to India. And when he landed in Mumbai he decided that he would never relocate to a foreign city and instead resolved to live a meaningful Life in India itself. Soon, his Life's Purpose - of preserving the Anglo-Indian ethos and identity - found him! He first set up 'Anglos In The Wind', in 1998, as a quarterly magazine for the community. Despite the challenges involved in bringing it out, the magazine has survived for 20 years now. While he runs the Harry MacLure Design Studio to help him and his wife Jillian sustain themselves, Harry invests their additional resources and his time in activities relating to nurturing the community. He supports deserving Anglo-Indians through a monthly grant, he runs a publishing house that encourages Anglo-Indian writers and he continues to work on documentary films that showcase the history and the culture of the community over the past century in India. He's currently leading two ambitious projects. One is a full-length commercial feature film that he is directing called 'Calcutta, I'm Sorry' that releases in early 2019. And the second is the 11th World Anglo-Indian Reunion that is being hosted by him and his team in Chennai in January 2019. Why is Harry obsessed with wanting to preserve the 500-year-old Anglo-Indian community's story and identity? How does he find the resources to help him onward with his Life's Purpose? Where does he find the inspiration to keep going despite the humongous odds that are stacked up against him? Harry's is a story of living a Life of Purpose, focused on a Vision and demonstrating grit to stay on the path - these are key entrepreneurial traits. Please join us as AVIS chats up Harry in a never-before Conversation. There will surely be significant and relevant perspectives for you to take away, whether you are a manager, entrepreneur, business leader or management student! 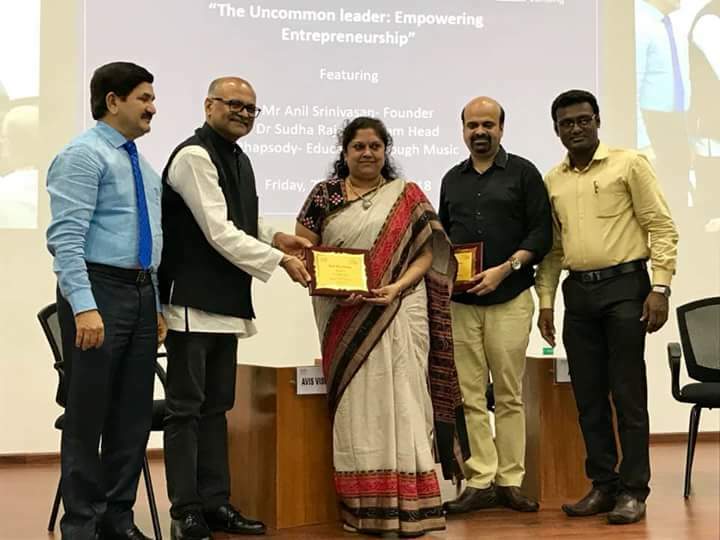 The Uncommon Leader: September 7, 2018 featuring ​Anil Srinivasan, Founder & Dr.Sudha Raja, Program Head of Rhapsody- Education through Music. In the 19th Edition of the Series, we feature Anil Srinivasan, Founder & Dr.Sudha Raja, Head of Programs, Rhapsody - Education through Music. Anil gave up a PhD at Columbia University in the US to follow his bliss - music. In the past 13 years, since returning to India, Anil has established himself not just as a world-class musician, collaborating with artistes across genres, but also as a thought leader in the field. A lesser-known fact about Anil though is that he is leading an initiative that is enabling and empowering education among children through music. His social-entrepreneurship venture Rhapsody, set up in 2013, today impacts 216,000 children across 144 schools in Tamil Nadu, Andhra Pradesh, Telangana, Maharashtra and New Delhi. Working alongside Anil, and helming a team of 76 teachers, is Dr.Sudha Raja, an eminent music scholar, singer and teacher. She is Rhapsody's super-energetic Program Head. Sudha curates music lessons so they fit into the frameworks prescribed by the different academic boards that administer education in India. So, whether it is to understand fractions in math or the role of chlorophyll in leaves, there's a song, there's a rhythmic pattern, that helps children internalize complex concepts better. The Rhapsody team's research has resulted in the development of 444 multi-modal, multi-genre and multi-disciplinary lessons for children between the ages of 3 and 13. Now, that's a momentous break-through to achieve in our country's seemingly impregnable education system. Why have Anil and Sudha chosen do what they are doing with Rhapsody? Why do they believe music must be accessible and meaningful to children - not just as a hobby but as an art form that develops and molds a child's outlook to Life? What has been their experience setting up this venture - working with governments and educational institutions over the past 5 years? AVIS hopes to have Anil and Sudha answer these questions, and some more, to glean valuable lessons in social-entrepreneurship. The Rhapsody journey has just begun. But the initiative has already blazed an inspirational trail. Whether you are a manager, entrepreneur, business leader or management student - there sure will be a significant and relevant perspective for you to take away! In 2005, Raaji and Naveen gave up their promising professional careers in the United States and returned to Chennai. They wanted to live closer to their parents. At that time, they didn't quite imagine that they would end up incubating an idea that has the potential to change the way education is perceived and developed in India. Naveen began by helping with a primary school that his mother Sudha had set up in 1995. But he soon found himself asking fundamental questions: what is the purpose of our education system - is it to prepare children for Life or is it merely to prepare them from exams? His quest, and his thought-provoking conversations with Raaji, led them both to launch the Headstart Learning Centre (HLC) with a singular focus on re-imagining the learning environment for children. 13 years on, Headstart is recognized as an Ashoka Changemaker School. It has seeded and grown five, never-before, game-changing concepts in education that aim to make children inquiring, knowledgeable, empowered and caring global citizens. Raaji's and Naveen's journey with HLC is powered by a sense of Purpose, it has a crystal-clear Vision, it is driven by staunch adherence to a set of Values, it challenges status quo and is qualified by their persevering spirit. These are key entrepreneurial traits. AVIS gleans several learnings from this inspiring couple in this conversation. You sure will take away something significant and relevant - whether you are a manager, entrepreneur, business leader or management student! Anyone who understands the impermanence of Life and is "living" each day fully. Anyone who asks "How can I serve?" instead of merely saying "I deserve!" And who is both a Buddha & a Social Entrepreneur? As we discovered in this Edition of #TheUncommonLeader Series (hosted by MMA) - Dr.Srinivasan Periathiruvadi of Jeevan is just that, a Buddha and a Social Entrepreneur!!! 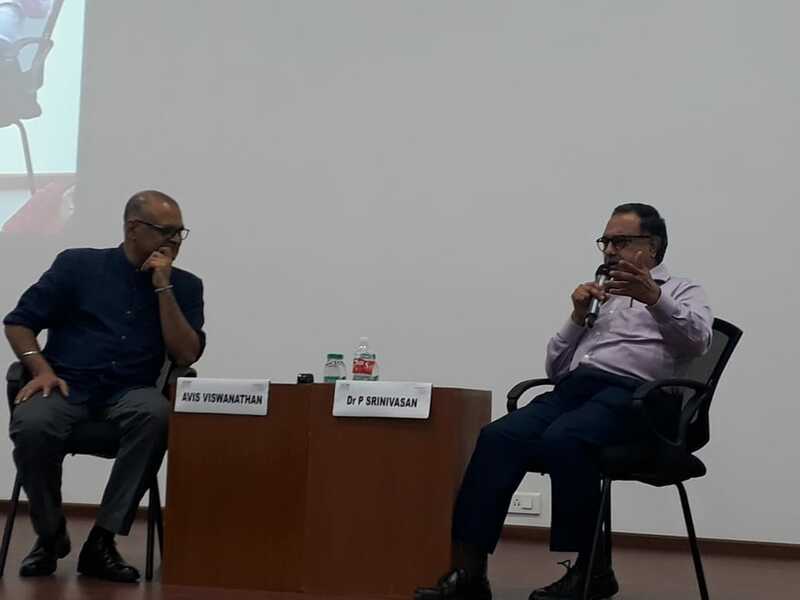 It was a beautiful conversation marked with Dr.Srinivasan's legendary candor and peppered with several nuggets of wisdom from the 40+ years of his roller-coaster entrepreneurial journey. We talked about leadership, Vision, faith, miracles, letting go, moving on and yet about carrying on despite the odds. In the 16th Edition of the Series, we feature Sriram Ayer, Social Entrepreneur and Founder, NalandaWay Foundation. Sriram had a well-paying corporate job and Life happened to be going “just fine”. But witnessing the 2002 Gujarat riots up close changed everything. It prompted him to ask existential questions. In December 2004, when Sriram was at work, a young boy came selling agarbathis. The boy wanted to study and was earning a livelihood from his post-school, evening job. The riots had stirred something within Sriram but the young agarbathi-seller’s resilience inspired him to take action. He set up the non-profit NalandaWay in 2005, which works with children from the poorest districts in India, helping them raise their voices and issues through theatre, visual arts, music, dance, radio and films. In its 13 years, NalandaWay has touched over a million children and currently impacts 54,000 children across 136 schools, in Delhi, Haryana and Tamil Nadu. Sriram is an Ashoka Fellow and has been named among the top 50 social entrepreneurs in India by Outlook Business. Bringing about sweeping social change requires a Vision and the perseverance to stay on course over a long period of time. These are traits that are crucial to entrepreneurs too. In this conversation, AVIS explores Sriram's journey of founding and leading NalandaWay and glean lessons in entrepreneurship from him. You are sure to find relevant takeaways - whether you are a manager, entrepreneur, business leader or management student! Is it possible to inspire behavioral change using art as a tool in an urban neighborhood that is ridden with crime, domestic violence and anti-social activities? That's exactly what Shaswati SenGupta and Kaustav Senputa have done with their #changekannaginagar initiative impacting children, their mothers and families of Kannagi Nagar on OMR, a suburb of Chennai. Kaustav is an associate professor and centre coordinator at the National Institute of Fashion Technology, Taramani; additionally, he is an artist, design curator and color psychologist. Shaswati is a creative thinker and a key facilitator for ethnographic and qualitative research. 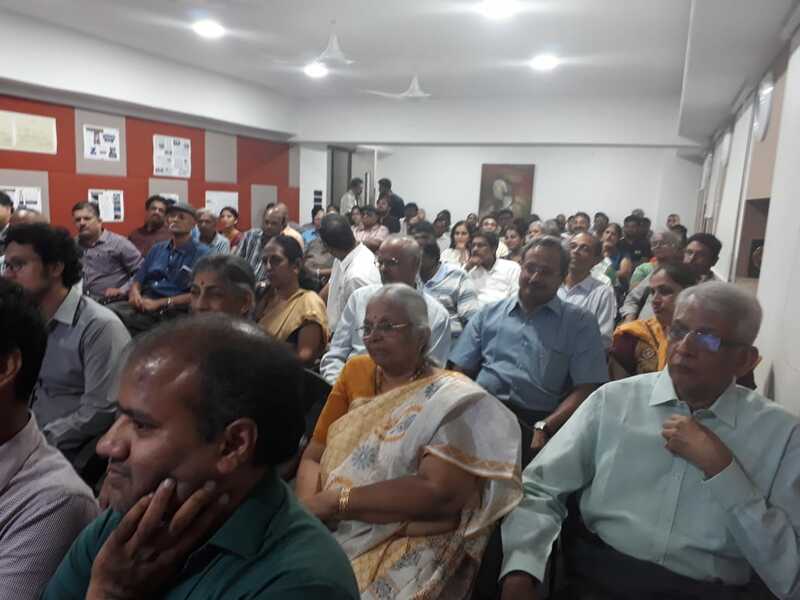 Together the couple set up the InkLink Charitable Trust in 2011 to work on the four pillars of "education, empowerment, environment and empathy" on the people of Kannagi Nagar. The couple toiled against odds to teach children and women in the area art and spoken English. They empowered the women with ideas to recycle waste plastic - this also keeps Kannagi Nagar safer, preventing water-logging during heavy rains. The SenGuptas have proven that when a community is empowered, when art is made accessible to all, transformation happens; people are able to lead a Life of self-reliance and dignity. 6 years on, their social experiment has delivered: 1500 children have been touched by their now popular weekend art workshops and over 70,000 residents who were caught in the web of crime have found meaning and purpose in their lives. InkLink is now implementing its model in projects in Goa, Bengaluru and New Delhi. Bringing about social change in crime and poverty-affected neighborhoods undoubtedly requires courage. But it also needs a Vision, the willingness to own and lead and a doggedness to stay on the path - these are key entrepreneurial traits. ​In this conversation, AVIS gets Shaswati and Kaustav to share learnings from their #changekannaginagar journey with him. Listen to this engaging session. You are sure to find relevant takeaways - whether you are a manager, entrepreneur or business leader! In the 13th Edition of the Series, we feature Rajasekharan P and Shashaank Awasthi, Founders of v-shesh. For P.Rajasekharan and Shashaank Awasthi, the true definition of an enterprise is "one that creates value and makes a difference". So, while their venture v-shesh, set up in 2009, is a for-profit, it is also driven by a mission to bring learning and skill development services to those who are disabled and to those who are from disadvantaged socio-economic backgrounds. 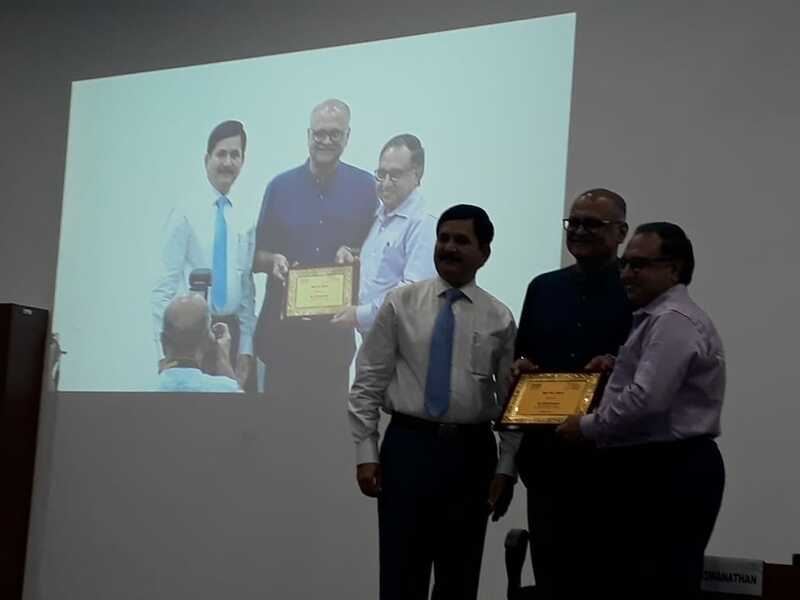 Thanks to Raja's and Shashaank's leadership, ably assisted by their dedicated 35-member diverse team at v-shesh, the employability potential of people with disabilities (PwD) has grown over the past decade. v-shesh so far has created an employer pool of 100 companies and has trained and placed over 2000 PwD candidates in them in various roles. This isn't as easy as it appears. First, they have to make disabled candidates, especially freshers, believe in themselves. Then they have had to train them to make them employment-ready. Third, they have had to influence key decision-makers in organizations to change their attitude and approach towards PwD candidates and make them instead look at their skills and at the value these individuals can create. Doing all this requires a vision backed by a missionary zeal to keep the focus and to stay on the path. Those are key entrepreneurial traits. In this conversation, AVIS will have Raja and Shashaank share learnings from their purposeful journey at v-shesh with him. Come, listen to this engaging session. You are sure to find relevant takeaways - whether you are a manager, entrepreneur or business leader! They are driven by Purpose. That's what defines the entrepreneur-couple Shobha and Viswanath and sets them apart. 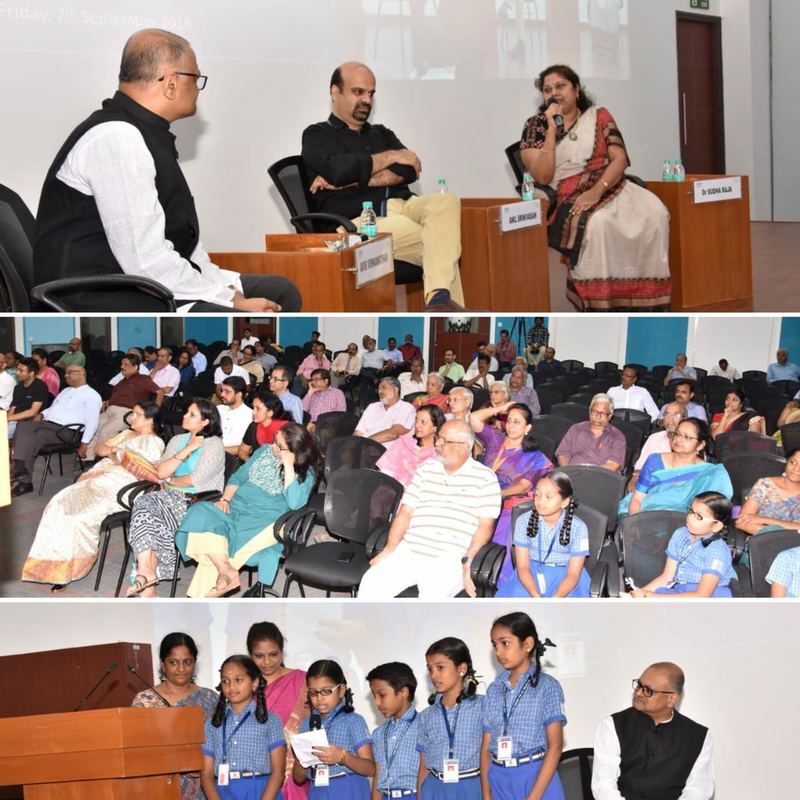 Their Karadi Tales company, through its over 120 titles of audio books launched over the past 20 years, has helped generations of children stay connected with Indian culture and mythology, even while they have been encouraged to develop a habit of listening and reading. Their Karadi Path company has inspired over 5,00,000 children and 6000 teachers in 1500 schools to embrace English language learning through story-telling. Theirs is an exciting story of empowered entrepreneurship - the duo have literally pounded the pavement to grow awareness of their concepts, create a niche market and establish a business model where there were no precedents. And, all along, they have been led by their vision, their sense of Purpose and their creativity. In this conversation, AVIS understands from Shobha and Viswanath how they built Karadi as an institution that champions unconventional language learning and story-telling. Whether you are a manager, entrepreneur or business leader, you will surely find very relevant takeaways from what the couple has to share! In the 12th Edition of the Series, we feature Ramji Srinivasan, Leading Sports "Strength & Conditioning" Coach. Ramji's credentials can be summed up with just this data point. He is the first Indian strength and conditioning coach to have been part of the Indian cricket team for a full five years - a period during which the team won the ODI World Cup, the Champions League and the Champions Trophy! But getting to work with Team India took Ramji over two decades of leadership and innovation in the strength and conditioning space. In the sports arena he is seen as someone who has the ability to understand, appreciate and develop the champion's mindset. He's trained champions beyond cricket too - like F1 racer Narain Karthikeyan and scores of people in other disciplines. At his Quantum Leap Performance Centre he currently trains the next generation of India's sports talent - people who are being encouraged to demonstrate inner resilience as well as physical strength. In this conversation, we understand from Ramji how ownership, leadership and delivery are critical to developing and sustaining a champion mindset. This, as we know, is a key ingredient of empowering entrepreneurship. We will also explore the interplay between innovation and high-performance. Whether you are a manager, entrepreneur or business leader, you will surely find very relevant takeaways from what Ramji has to share! John literally took his broken heart and made it into art. That's how the story and screenplay for Kamal Haasan's iconic Gunaa (1991) came about. A very intense and passionate story-teller, John has been a screen-writer, director, actor and executive producer in the Malayalam,Tamil and Hindi film industries for almost three decades now. That makes him a consummate all-rounder in the business - a rarity! Some of his other popular works have been Chanakyan (1989), Kuruthipunal (1996) and Sillunnu Oru Kadhal (2006). John's strength is that he is seamlessly able to visualize a story for the screen, complete in all respects, from characterization to casting, from screenplay to post-production. Over the last 10 years, John has been giving shape to an entrepreneurial venture ScreenWrite.in. At one level this initiative brings together film-makers and story writers. John believes that the industry lacks mutual trust. So while writers have stories to tell and film-makers are forever looking for good stories, the two never quite collaborate seamlessly because of a lurking fear that scripts may be hijacked. So, ScreenWrite.in offers a credible, reliable platform for writers and film-makers to co-create value. This is a first in India. 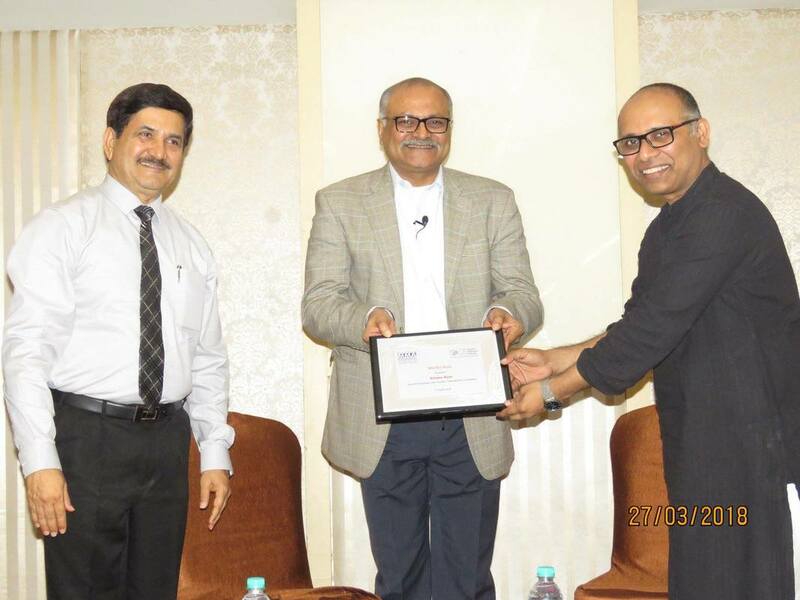 At another level, this venture, through workshops in the corporate sector, is inviting managers to express themselves through stories - as personal Life lines, as a team's achievements, as a product's journey to market or as an organization witnessing history. John blends creativity with entrepreneurship handsomely. In this conversation, we learnt from John - what inspires him and why innovation and good project management/execution skills are key to film-making. Interestingly, these qualities are key to entrepreneurship as well. Everyone in the audience - whether a manager, entrepreneur or business leader, have found very relevant takeaways! The New year for this popular series began with a bang and featured T N Venkatesh, IAS, Managing Director, Co-Optex. Venkatesh always knew that he wanted to be in the Civil Services and in the service of people. When he joined Co-Optex in 2014, he found that people in the organization were highly knowledgeable but working in silos. He started by having meetings and understanding the weaving process and various facets of the organization. He transformed a drab office into a colourful one that highlighted what Co-Optex produces. Being open to ideas, he received ideas from all levels of the organisation right from his driver to the salesperson and officials and implemented many of them. In terms of galvanising the weavers, he encouraged them by providing them identity cards with photographs. For the first time in India, all products now carry a tag with the photo of the person who created it. This gave weavers immense pride. He persuaded weavers to produce organic cotton sarees. They were initially very hesitant and unsure. However on his assurance of 100% procurement, they went ahead with the production and Co-Optex has sold almost 10,000 organic sarees till date! Venkatesh also introduced the concept of selling through Boutiques rather than the outdated, old showrooms and has now increased visibility through Facebook, online sales and other new concepts. Venkatesh also introduced a breakthrough idea of selling sarees on festive occasions in various other states through exhibitions rather than physical stores. This has led to a spike in the sales of Co-Optex in other states and they have completed 90 exhibitions during his tenure till December 2016 alone! Venkatesh's dynamism is not limited to Indian demography and he has spread his infectious energy to not just his team but to various diaspora living abroad too by holding exhibitions in various countries. Co-optex has the highest sales in India among all cooperatives - INR 316 crores as retail sales. To put this in perspective, Tantuja of West Bengal has sales of about 70 crores. Last year Co-optex has wiped out its accumulated loses and has turned profitable. 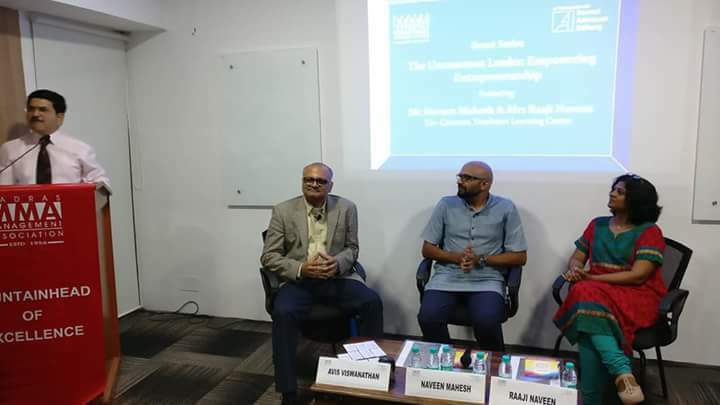 "The Uncommon Leader" Series, hosted by the Madras Management Association, is curated by AVIS Viswanathan and Vaani Anand. It looks at the Extraordinary Leadership and Entrepreneurship Lessons we can learn from Exceptional People! 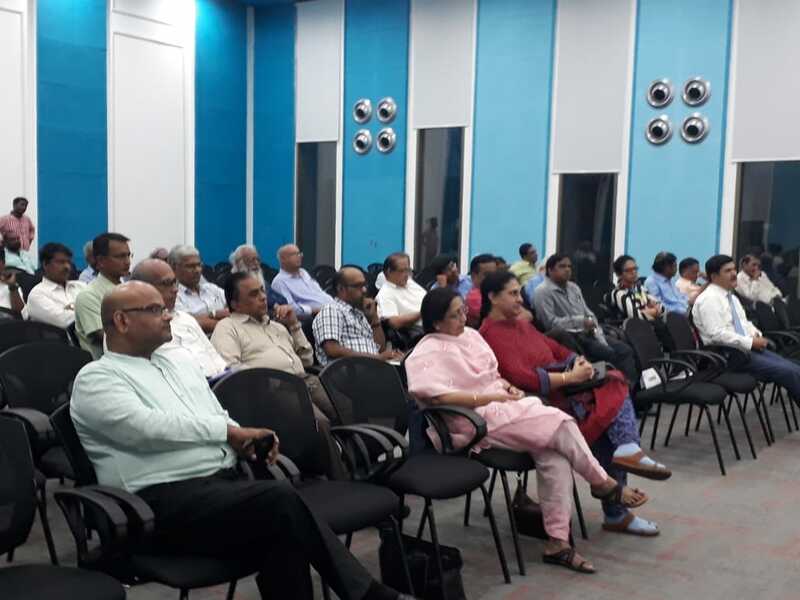 The December Edition of this popular Event Series, hosted by Madras Management Association, and curated by AVIS Viswanathan and Vaani Anand, featured Shreya Gadepalli, South Asia Director, Institute for Transportation and Development Policy (ITDP). Shreya truly believes in the power of reinvention and collaboration. Over the last 18-odd years of her career, she has deployed these two qualities to change the way we live and move in urban environments in India. As the South Asia Director for the New York-headquartered Institute of Transportation and Development Policy (ITDP), she is regarded today as one of the foremost experts in planning, design, and implementation of bus rapid transit (BRT) systems and has led the planning of BRT systems in over half a dozen cities in India including Ahmedabad’s Janmarg — India’s first high-quality BRT system. Her other areas of interest and expertise are transit-oriented development, parking management and the design of non-motorised transport facilities. In the various roles she has held over the past two decades at ITDP — a global non-profit that strives to implement sustainable transport solutions that reduce pollution, alleviate poverty and enhance quality of urban Life — she has had to bring together central and state administrations, city-based civic bodies, NGOs and other partners to execute transformational solutions across urban India. So, in essence, Shreya brings not only subject matter expertise but also great entrepreneurial skills to the table — a clear vision, a spirit of collaborative enterprise and focused leadership — with every single project that she conceives and executes. Surely, her background in Industrial Design from IIT-Delhi helps. But at every stage of her career, Shreya has sought to reinvent herself to be the leader-preneur that she is today — someone who owns, leads and delivers whatever she takes up. 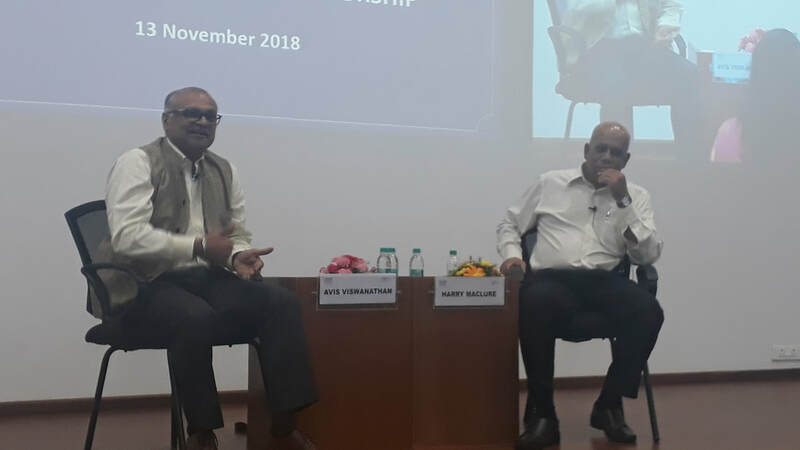 "The Uncommon Leader" Series, hosted by the Madras Management Association, is curated by AVIS Viswanathan and Vaani Anand. It looks at the Extraordinary Leadership and Entrepreneurship Lessons we can learn from Exceptional People - from folks like you and me! Note: Owing to Cyclone Vardah, MMA's video partner was out of circulation and so we unfortunately could not record this meaningful conversation! There are just two words to describe Deborah 'Debbie' Thiagarajan: Visionary Doer! DakshinaChitra on East Coast Road, on the outskirts of Chennai, is her labor of love and is evidence of her Vision and execution excellence. Since it opened in 1996, DakshinaChitra (which gets over 200,000 visitors annually) has not just evolved as a museum of South-Indian heritage, it has become a Mecca of sorts for anyone wanting to soak in the brilliance of the region's architecture, culture and tradition. Starting in 1984 with literally nothing, not even a rupee in funds, Debbie has worked meticulously and painstakingly: she built and led a team, she encouraged government institutions to partner with her on the DakshinaChitra project, she stayed on the path doggedly despite the odds and she has built an institution that India and Indians can be proud of. All this comes from someone who was not even born in India. She migrated to Madras from the US in 1970, when she married the late K.M.Thiagarajan, got her doctorate in Indian History and Culture from Madras University and has been leading the Madras Craft Foundation, an NGO, purely out of her passion for preserving heritage. What can we learn from this amazing lady? Her's is a story of quiet servant leadership, of Purpose and Vision, of resilience and resourcefulness. An acclaimed theatre personality in Chennai, Aysha has scripted and produced, and even acted in, several plays presented by The Little Theatre, one of India's premier children's theatre companies. All of her company's 50+ productions have raised money to support the education of underprivileged children. Several of The Little Theatre's beneficiaries have gone on to graduate from colleges and take up mainstream, white-collared, jobs that makes Aysha's leadership of her cause of 'Theatre with Purpose' indeed remarkable. While this side of Aysha's and The Little Theatre's story is fairly well-known in Chennai's theatre and performing arts circles, there's an untold story about her too. She's led The Little Theatre through thick and thin - has she managed to get sponsors to support her various productions each season, has she been getting her creative partners to collaborate to deliver high-quality live performances every single time and has she engaged consistently with the cause of educating the less privileged children around us. This is her story - that will help you understand the value of being a responsible citizen, a resourceful manager, an inspiring leader and, most importantly, an institution builder. Chandra loves to solve unsolved problems. 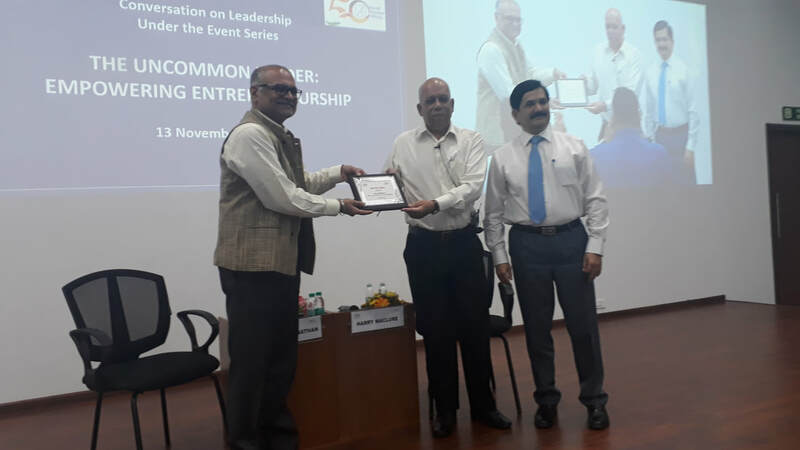 A plastics engineer from CIPET, Chennai, Chandra held a regular corporate job with a glass manufacturer even as he nurtured twin passions - heritage conservation and crafting solutions for social issues. After quitting his full-time job in 2008, he set up custompartsonline.com to help fellow innovators like him seed new ideas, create prototypes and take their products to market. Chandra saw this as a validation of his mission to "create value" for society; even as his family and friends had virtually labelled him a "wandering maverick" who refused to "settle down". Chandra, meanwhile, had also set up an NGO called REACH Foundation. As part of the NGO's activities, he toured Tamil Nadu, covering 800 villages in 3 years, in search of temples that could be restored and whose heritage could be conserved. Chandra inspires us to look beyond ourselves, on how our education, expertise and experience can be employed for larger social good. His is a story of Purpose, Resourcefulness and Value Creation - qualities that we will do well to imbibe as managers, business people and corporate leaders. In the August edition, we featured M.K.Chandrasekar, MKC, at 55, who epitomizes the line - "When the going gets tough, the tough get going!". After working in marketing for over two decades and then moving on to run his own brand consultancy ThoughtWorks, he began investing time, energy and resources into an idea that he truly believed in. The idea was to democratize music by developing and launching a technology-based music learning tool which he has since branded as eSWAR. We learnt from MKC how we can develop the ability to take Life head-on, look it in the eye and deal with it with equanimity. Perhaps we too will learn to be resilient and resourceful - qualities that we surely need as managers and business leaders! Murthy's is an amazing story of how a fisherman's son from Kovalam (Covelong) village on ECR became an international surfing champion and is part of the core team that now runs an international surfing school and festival. It is also a story of resourcefulness. The big, benevolent ocean, his unquenchable thirst for learning, a rare, can-do attitude and the ability to strike and build thriving relationships - these are the resources that Murthy has leveraged to carve out his immensely successful professional career. You will gain valuable insights on how you can make do - and win - with available resources, however limiting they may appear to be! Those surely are important traits that all managers and business leaders must possess in today's times!! 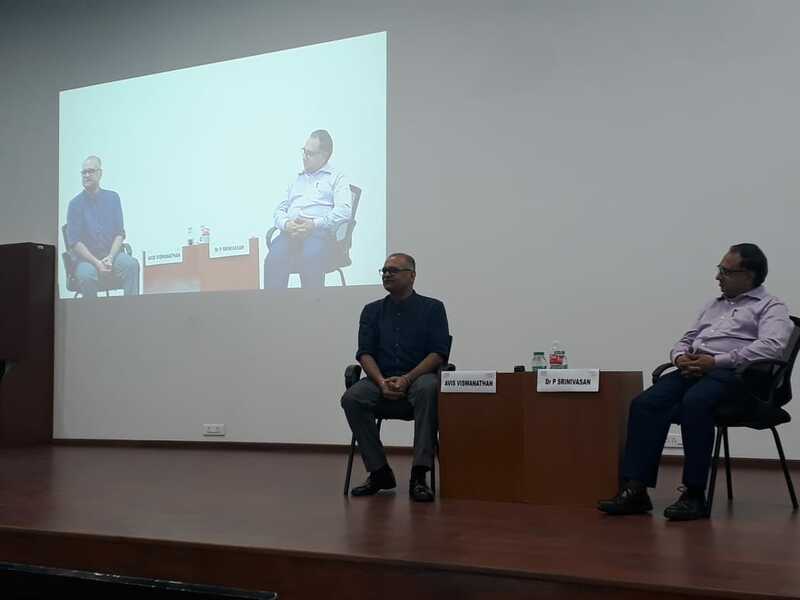 Mathew Jose's sense of Purpose, conviction and Vision stood out as he shared Paperman's exciting journey with curator/moderator AVIS Viswanathan. Mathew believes his Purpose is to awaken people around him to see value in waste; this, he feels, is the key for more responsible waste management around us. His 6-year-old bootstrapped, social entrepreneurship venture, Paperman now connects 270 kabadiwalas to 3,500 households in Chennai to ensure that scrap is collected, electronically weighed and paid for in 60 minutes. Forbes India magazine recently featured Mathew in the '30 under 30' listing as one of the young people who is shaping our world differently, meaningfully. At an age when most people will want to focus on a career that gives them money, job security and perks, Mathew's chosen to be driven by a Higher Purpose. It was a conversation that helped us understand what being purposeful and innovative really means? 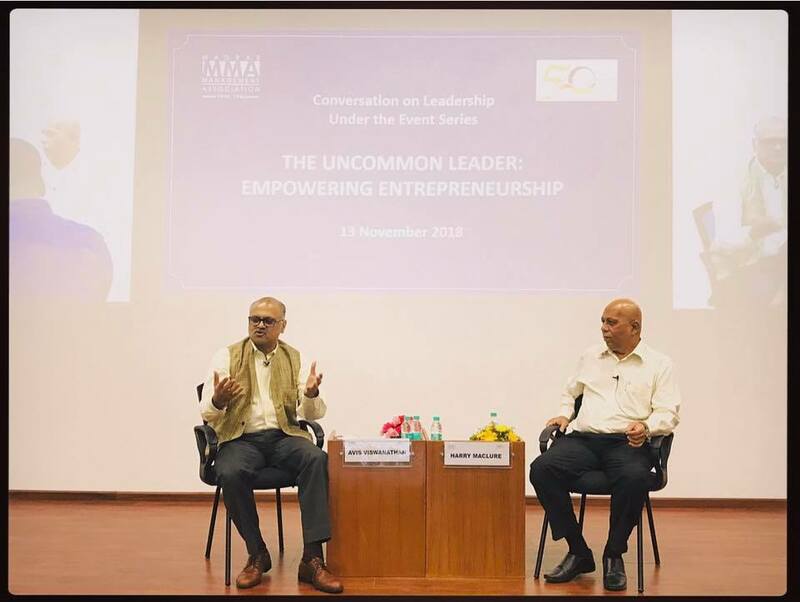 It was a very precious and beautiful conversation that curator/moderator AVIS Viswanathan had with Narendran KS, Principal Consultant, FLAME TAO Knoware, in the second edition of The Uncommon Leader Series. Naren's wife of 25 years, Chandrika, was on MH 370 that went missing on March 8, 2014. Naren shared how, over the last two years, he has had to come to terms with the enormous, new reality he is faced with; how he has picked up the threads of his own Life while helping their daughter Meghna cope, accept and move on. What do you do when you don't know what to do? Naren says he is neither an 'uncommon leader' nor has he any wisdom to share. But this conversation with him can perhaps help us understand how invaluable Reflection and Acceptance are in situations when we are dealing with Disruptive Change and when we must demonstrate Personal Leadership. The inaugural edition on April 13th featured AVIS in conversation with two-time cancer conqueror and author of 'I Inspire' Neerja Malik. It was wonderful hearing Neerja share her experiences and learnings; AVIS says he enjoyed gleaning nuggets of management and leadership wisdom from her story! The big takeaway - if you learn to face Life than fighting/resisting it, you will be resilient to what you are faced with!